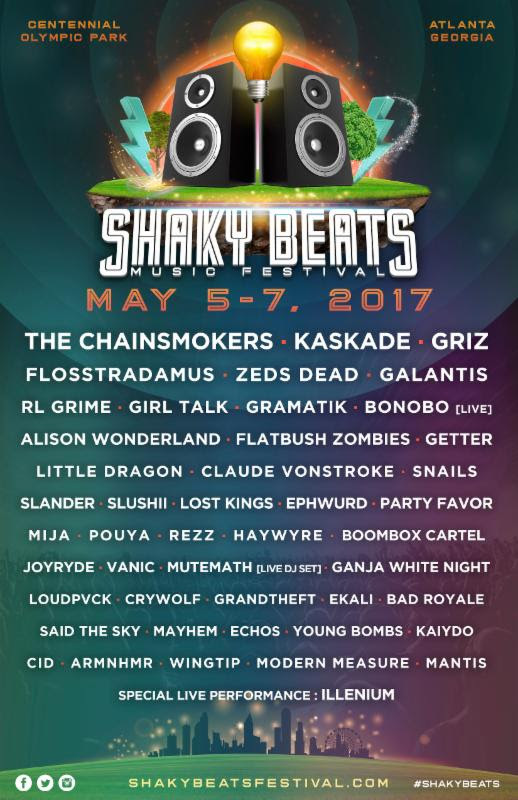 Shaky Beats Music Festival 2017 lineup. Photo provided. The Shaky Beats Music Festival will be held at Centennial Olympic Park on May 5-7, 2017. The venue is located just outside of Atlanta, and will host The Chainsmokers, Kaskade, Griz, Flosstradamus and over 40 live acts on three stages. 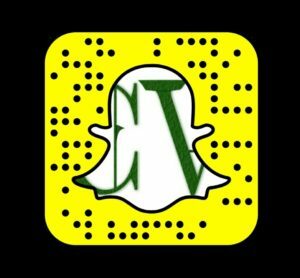 Additional acts include: RL Grime, Gramatik, Girl Talk, Claude VonStroke, Snails, Lost Kings, Haywyre, Ganja White Night, and many other electric musical acts. This music festival will focus on electric music, and provide nearby hotels, but no camping will be available. The festival does offer world class entertainment in the heart of Atlanta. Watch over the recap video from 2016 on YouTube below. Scan over ticket options for Shaky Beats Music Festival 2017 via the main website.